Elizabeth Harmon, executive director for the Darien Land Trust. DARIEN — In September, Elizabeth “Beth” Harmon was named the new executive director of the Darien Land Trust. Her love for the environment started at a young age. “I spent time on my grandparents’ farm in South Carolina every summer,” Harmon said. On the farm in Fountain Inn, S.C., she learned about the land and it’s importance, and the later experience of losing the farm when it was eventually sold taught her an invaluable lesson. “Once land is gone, it’s just gone,” she said. Her passion for the environment would continue into adulthood. As a resident of Darien for 11 years, she has worked on environmental initiatives around town. Working with the Darien Environmental Group, she worked to educate students on recycling in all of the elementary schools. “We literally were labeling bins and going around to every single classroom,” she said. This would lead to campaigns like trash-free Tuesdays, and the DEG going to cafeterias to educate students on recycling and food waste. Her work with the group around town wouldn’t go unnoticed. “I was really proud with my coworker because we were honored to receive the oustanding services recognition award in 2011,” Harmon said. 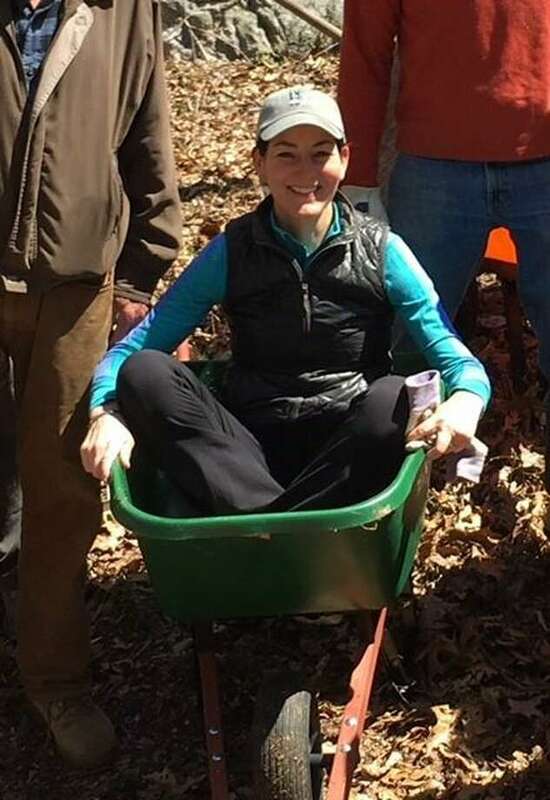 Last year, she came on board as a trustee for the Darien Land Trust, and after the previous executive director Shirley Nichols decided to step down, Harmon was offered her position. To help in the transition, she has a board of trustees, both new and old, to assist her. The supportive group works together to ensure the trust suceeds in its mission, she said. “They’re all rooted in their passion and their drive to roll up their sleeves and bring their knowledge and their learning to help,” Harmon said. Even outside the board’s work there are unsung heroes who help, she said, including people who call to notify the land trust when trees fall on its properties. As the town becomes more developed, the land trust is committed to preserve what remains. “Now we have this precious 220 acres to preserve and to protect,” she said. The amount of developed land makes everything left much more precious, she said. Darien is also one of the growing communities in Connecticut. The Darien Land Trust hosts neighborhood events, so people can learn what’s going on outside their homes and learn about land conservation. As the town continues to change, Harmon said the land trust is not only working to preserve open areas, but also restore open spaces in the community. “We protect what we have,” Harmon said.